This event is a 300-Hour RYT Teacher Training module. They are open to all, though you will get the most out of them if you have some yoga experience. We consider these advanced yoga studies. You do not need to be working on 300-hour certification to take this training. Full attendance required for 300-hour credit. This event will be offered in 2020. Please check back. Upon registration you will receive an immediate email confirmation containing details about the workshop and information regarding the studio. If you are currently enrolled in our 300 Hour Advanced Studies Teacher Training Modular program, will receive immediate credit after attending the module. You do not need to do anything, however, please feel free to contact events@youryoga.com with any concerns. 100% attendance required to all 300 Hour modules. Need a place to stay? Check out our Lodging options! What are Advanced Study Modules? We’ve built our Advanced Study Modular Program around the drop-in concept. There are 11 required modules you need to take, each lasting anywhere from 2-5 days long, generally over a weekend. 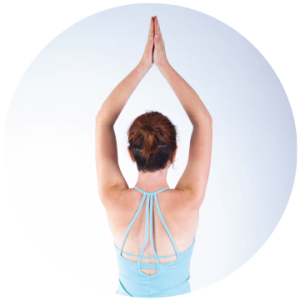 Modules are taught either by one of our experienced staff members or an international yoga teacher. We bring some of the biggest names in the industry to our studio and programs. In this very flexible modular program, you get to decide which particular module you take, at what time and taught by whom. And you have 5 years to complete 11 modules (some students do it within 2 years though). Modules are generally open to the public as well, so you will be joined by experienced teachers as well as aspiring enthusiasts. Modules can be taken by someone not going after a 300 Hour Certification–though if they decide later to pursue the 300 Hour Certification, they can retroactively include the modules they’ve already taken in the past 12 months only. Taking the initiative to become a 500 RYT demonstrates you have made a deeper commitment towards self-growth and shows your true dedication to higher learning. We offer a Modular Advanced Studies program to give you the opportunity to make choices in what inspires you the most, as well as some flexibility in scheduling your course work. Our 300 Hour program helps you to advance your career, share knowledge, strengthen your practice and enhance your credibility. Need a place to rest your head while you’re here? You can stay with us! Our Namastay House offers comfortable, modernized rooms a few blocks away from our studios. Students attending AYC weekend workshops or 3 week immersion teacher trainings, please complete our online form with your request to stay! Contact our programs department by sending an email below or calling us at 828.775.5531. For anyone attending our Teacher Training or workshops, we offer a wonderful way to keep things simple! Our Namastay House has comfortable, modernized rooms a few blocks away from our studios. Asheville Yoga Center offers the best yoga experience in the Southeast. We are located right in the heart of Asheville, North Carolina. We have over 100 weekly yoga classes and provide 200 and 300 Hour RYT teacher training and certification as well as yoga workshops and events for all levels of yogi.